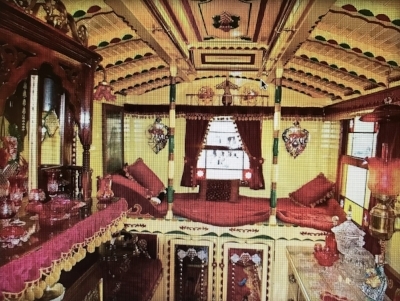 "Gypsy Caravans Make a Comeback as Micro-home"
"Think micro-homes are a new trend? Tell that to the Romani people, who lived in ornate wagons in the 19th century. Romani living wagons, or "vardos," appeared on English roads in the late 19th century. And although the traditional wagon industry largely died out by the end of World War I, the micro-home and small footprint movements have recently embraced these unique abodes. Though they are still typically used in similar ways, as a home away from home for travelers, there are some big differences between the old designs and the new ones. Back then, they were commissioned by wealthy Romani or carnival workers and ornately crafted by a team of blacksmiths, wheelwrights, wood carvers, gilders and painters. Now it's typically one small group of collaborators or one family working to create these little homes for themselves in their spare time. Where they were once pulled by horses, they are now pulled by a car or truck."